One of the new releases form NetEnt in June 2017, Butterfly Staxx slot has a mellow, summery feel to it, with soothing background music, where butterflies stack on reels then fly left to create a sticky wild reel with a re-spin. 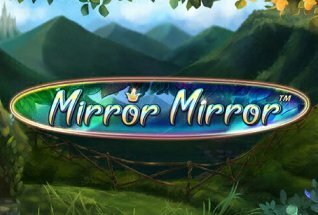 There are also Free Spins in this game that features cocoon that open up to reveal butterflies that create stacked wild reels again. The game is set in a 5 reel and 40 payline format, and the Butterfly Staxx RTP is a generous 96.8%. The volatility is relatively low, so this video slot will be suited to players who want to enjoy a long lazy spin, or can be helpful for playing through bonus cash. It’s also a lot of fun to watch. 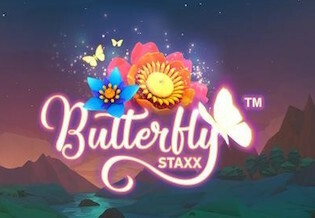 Like all NetEnt slots, Buttefly Staxx comes with a version for mobile and tablet as well as desktop, and can be played in real play and fun play modes. 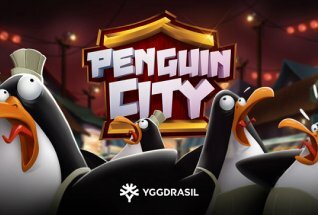 You can play now at one of our recommened casinos – try Party Casino – or read on for our full review of all the gameplay features. Butterfly Staxx is another great looking game from NetEnt. The reels are set against a backdrop of mountains and a starry night sky with fireflys drifting around. The low value symbols are the cards from Jack through to Ace, flowers blue, purple and pink, and a Yellow butterfly that pays out at 60x your stake should you land 5 on a payline. Look out also for the Wild symbol, a multicolored flower, and the purple scatter flower that triggers the Butterfly Spins bonus round. Butterfly Staxx game from NetEnt has a wide range of stake values. There are 10 bet levels and coin values from 0.01 to 2.0, allowing you to spin from as little as 40p, or ramp up your stake to £400 per spin should you wish. There is also a mellow, soothing soundtrack that you can switch on or off depending on your preference. Re-Spins – A respin is triggered when a Buttefly symbol becomes stacked on a reel. At this point, the butterflies fly left to the furthest available reel spot on the same row and remain there for the re-spin. This is repeated throughout the re-spins until no more butteflies land. 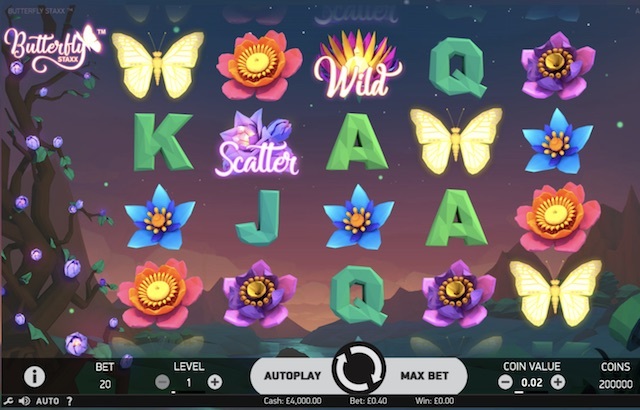 Butterfly Spins Feature – land three of more of the purple flower scatter symbols anywhere on the reels in the base game and trigger the Free Spins. 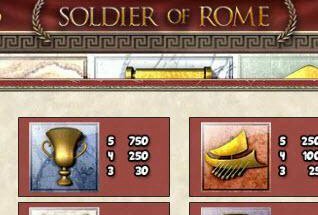 Three scatters gives five spins, four gives six spins and five gives seven. With seven you have the opportunity to win up to 840x your stake. During Free Spins, the only symbols on the reels are cocoons, which can be active or not. Active ones will release a butterfly on landing, and the butterfly will fly left and remain on the reels until the Free Spins end. So that’s it – Butterfly Staxx is certainly one of NetEnt’s less hectic numbers. There are far fewer bonuses and features than in other 2017 releases like Bloodsuckers II for example. But maybe that’s not the point. This is a more relaxing game than many other video slots, and if you just want to play through some cash or bonus money and watch some cute animations, Butterfly Staxx fits the bill.